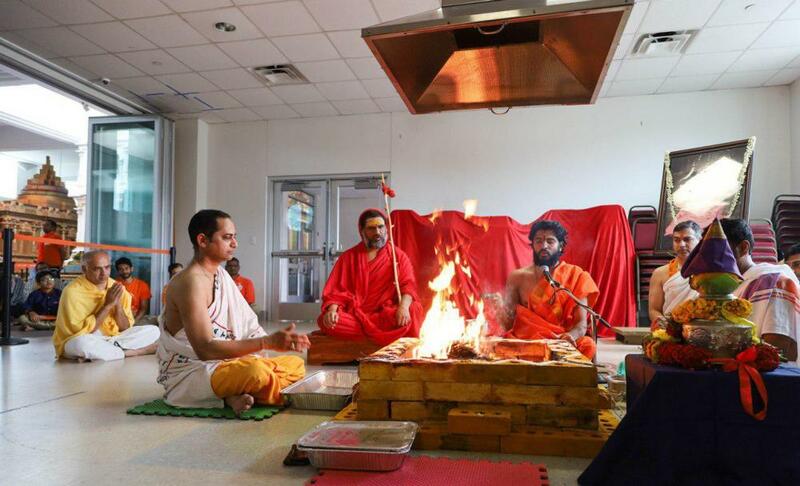 Pujya Sri Datta Vijayananda Teertha Swamiji visited Karya Siddhi Hanuman Temple in Frisco, TX, for Ugadi Celebrations from 2ndApril-10thApril 2019. Events started off on 4thApril with a welcome speech by Dr. Prakasarao Velagapudi and Pujya Sri Bala Swamiji performing the Masa Shivaratri Rudrabhishekam. 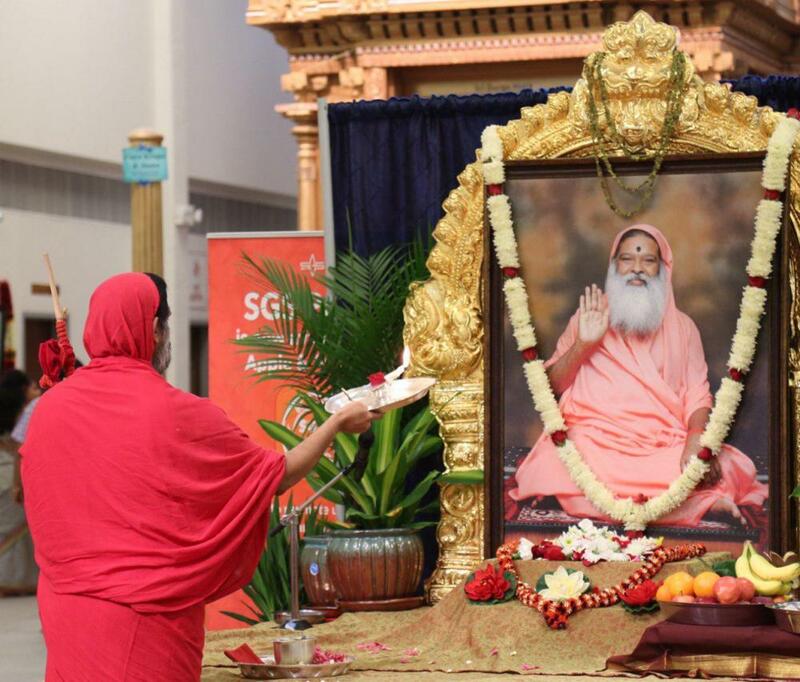 Pujya Bala Swamiji expressed His happiness and surprise to be visiting Dallas for Ugadi, on Pujya Sri Swamiji’s instructions, after a gap of 1,128 days. 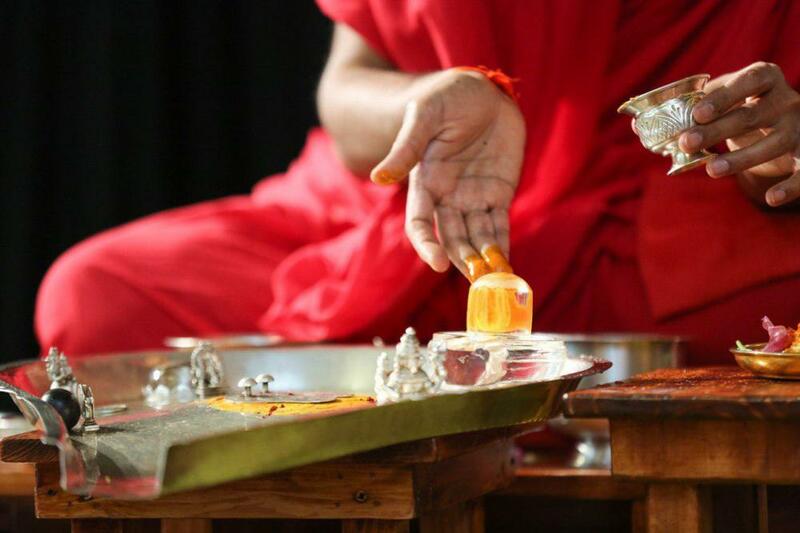 In the evening on 5thApril, Sadguru Paduka Puja was performed by Priest Vishwaksena Chandrashekhara. 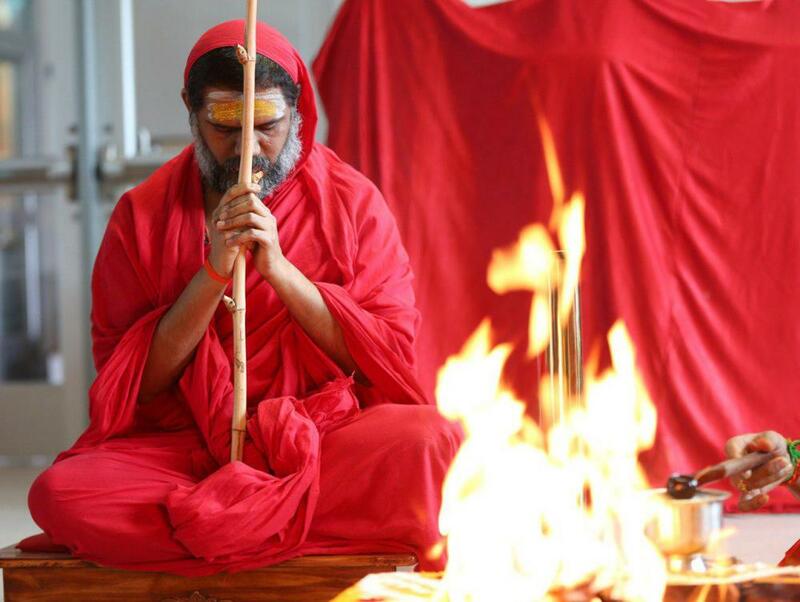 Pujya Bala Swamiji elaborated that the essence of Guru Pada Puja is following Guru’s words, and that Sri Swamiji’s message is to always be good and do good. Pujya Bala Swamiji also held a brief but illuminating question and answer Session with devotees before the daily Hanuman arati. 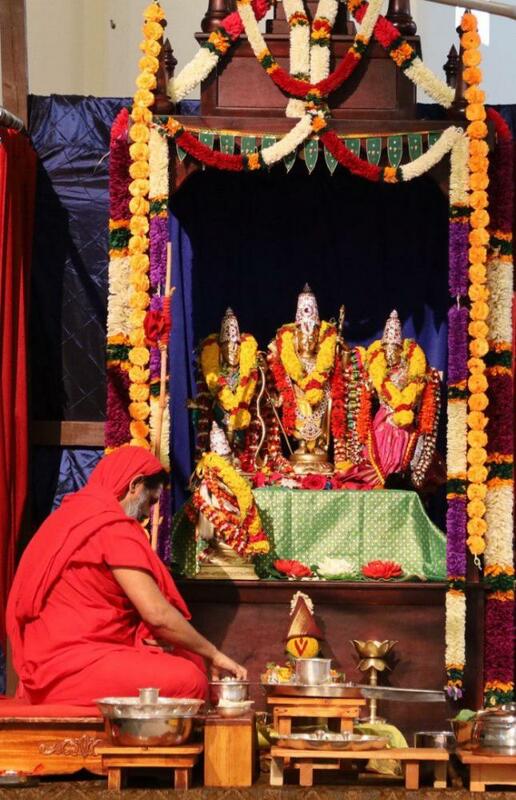 On 6thApril, priests performed Rama Navaratri Kalasha Sthapana and Batch 4 Bhagavad Gita Mahayagna children chanted Chapter 12- Bhakti Yoga in the presence of Pujya Bala Swamiji. The year can be called “Sri Vikari” to denote auspicipusess through the word “Sri”, as the name “Vikari” seems dreadful. Ugadi Pachchadi, the combination of mango pieces, neem flowers, jaggery, salt, tamarind, and pepper should be consumed after offering as naivedya, for good health. It is symbolic of the combination of different emotions we encounter in life. 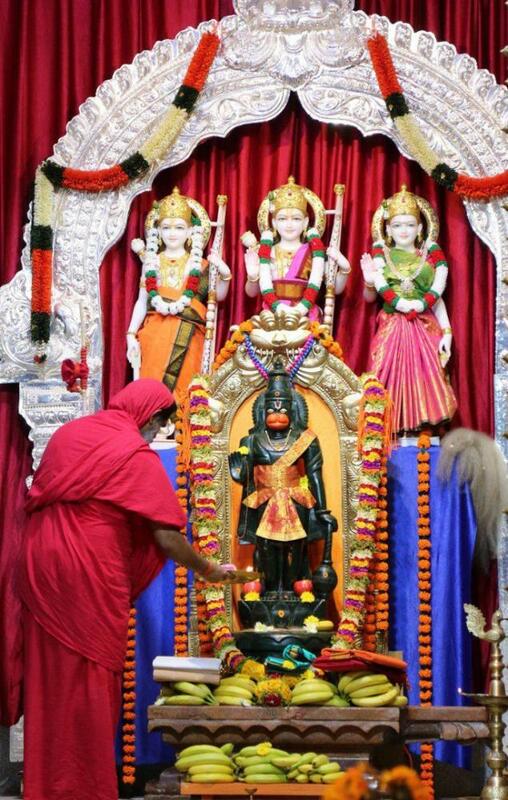 King of the coming year is Shani (Saturn), who blesses abundantly and is a constant well-wisher. 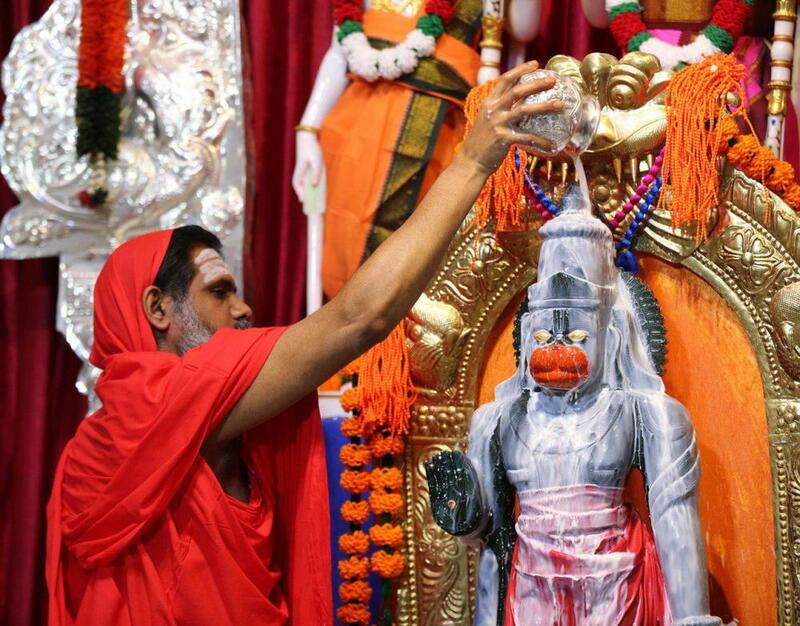 To receive his blessings, we must understand his nature. To please him, we should worship Ganesha and Shiva. 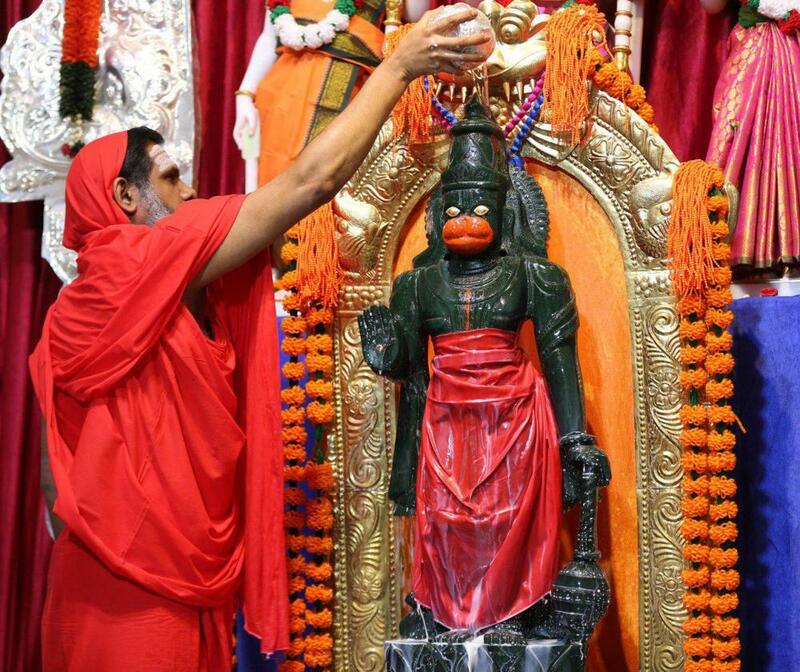 Doing regular Kriya Yoga, Pranayama, and Surya Namaskara will bring us the blessings of Lord Shani too. Surya is the mantri (minister) of this year. Though the year is claimed to be 50% good and 50% bad: the fruits will be 90% good, for the righteous. 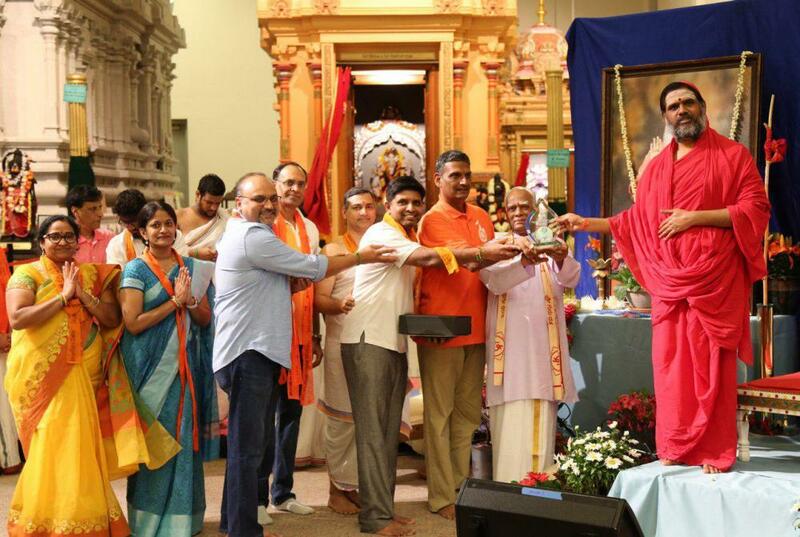 In perhaps a historic first, Sri Bala Swamiji released two audio albums simultaneously in Dallas as Pujya Swamiji released the same in Hyderabad. First released was Volume 3 in a set of archival releases from Datta Peetham: Divya Namamrutam, containing recordings of bhajans and abhangs from the late 1960’s and 70’s in Sri Swamiji’s youthful and sonorous voice. Pujya Bala Swamiji also released the audio MP3 of Sundarakanda discourses in Telugu, containing more than 3000 Sanskrit shlokas, specifically recorded by Bala Swamiji as a gift to devotees worldwide. KSHT Walkathon t-shirt was released by Pujya Bala Swamiji in anticipation of the annual walkathon which will be held on April 27th, 2019 to support KSHT community service activities. Bhutanese refugees, to whom KSHT donates regular “Datta Bhiksha” rice bags, came to seek blessings from Pujya Bala Swamiji on the auspicious day. 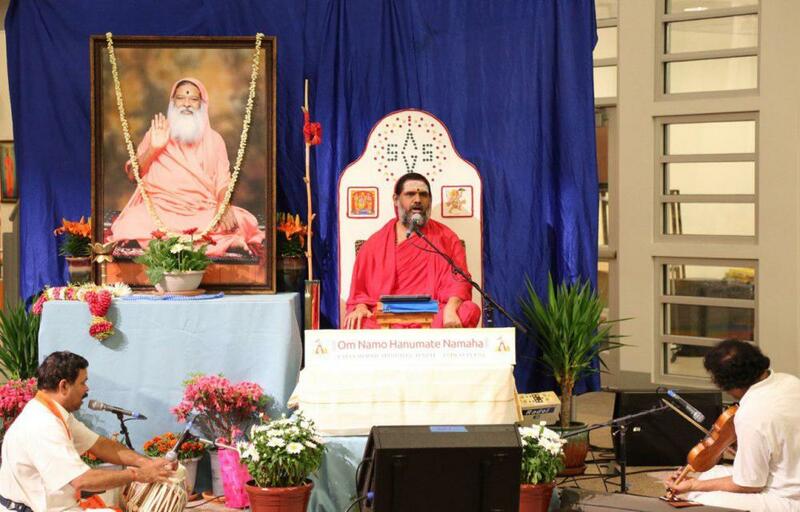 In the evening, Pujya Bala Swamiji held an energetic and rapturous bhajan session. 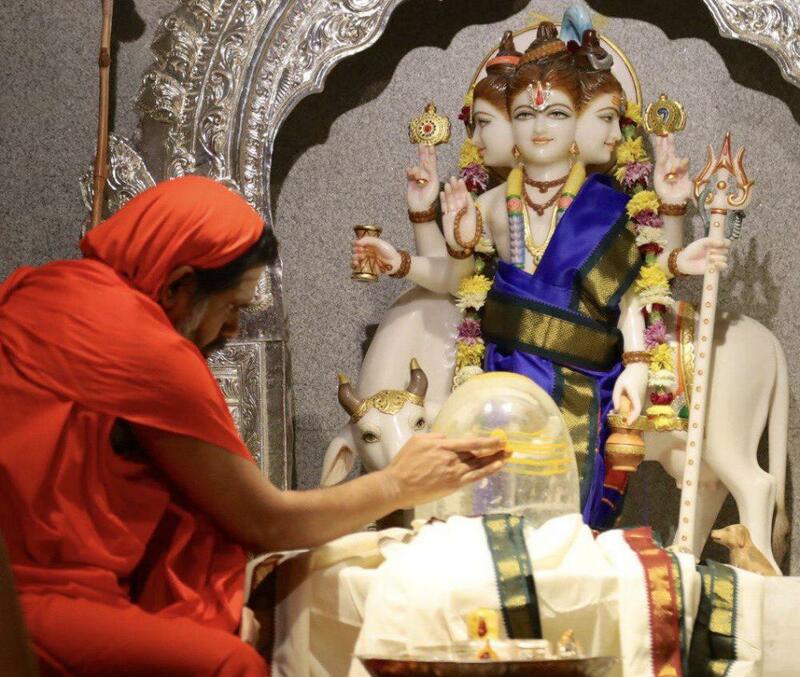 On Sunday, 7thApril, Pujya Bala Swamiji performed Sri Chakra Puja and purnahuti of Sahasra Modaka Ganapathy Homa: the first homa of the new year. 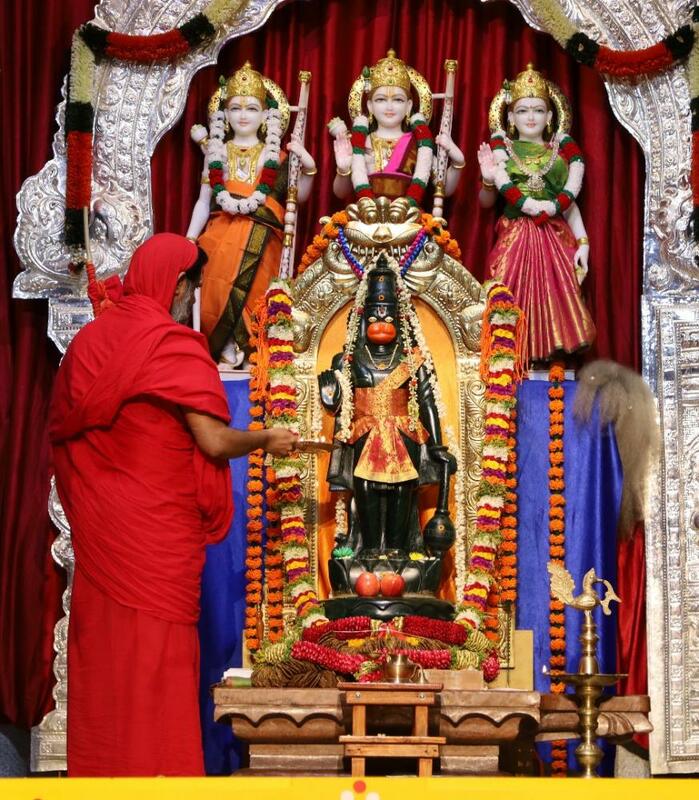 Bala Datta students recited Mahalakshmi Ashtakam and Hanuman Chalisa, and Bhagavad Gita Mahayagna students recited Chapter 11- Vishwarupa Sandarshana Yoga during Sri Chakra Puja. Afterwards, all the shilpis under the guidance of Sri Subramaniam Stapathi and KSHT temple priests and staff received prasadam from Pujya Bala Swamiji. 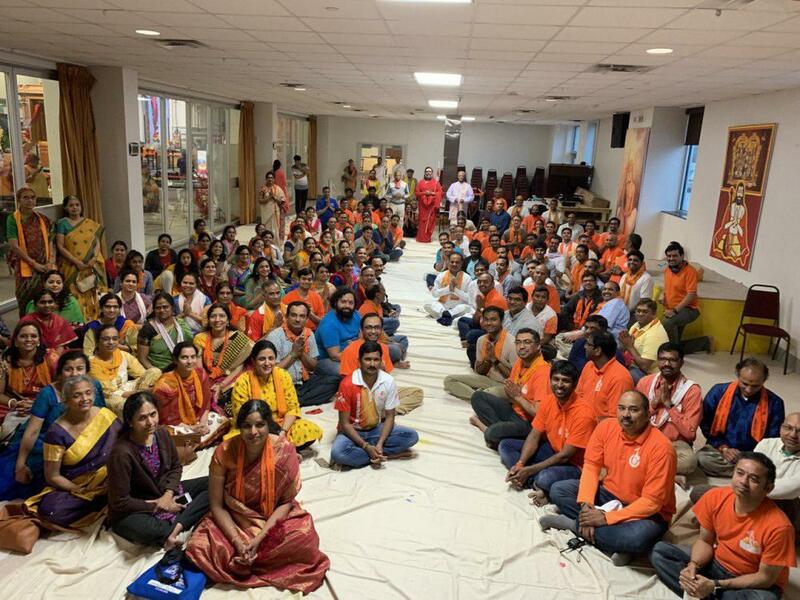 In the afternoon, Pujya Bala Swamiji graciously met with KSHT volunteers and the current batch of Bhagavad Gita and inspired and motivated them. To conclude the wonderful Ugadi festivities, Pujya Bala Swamiji held another blissful bhajan session in the evening. KSHT committee members offered a memento marking the occasion. 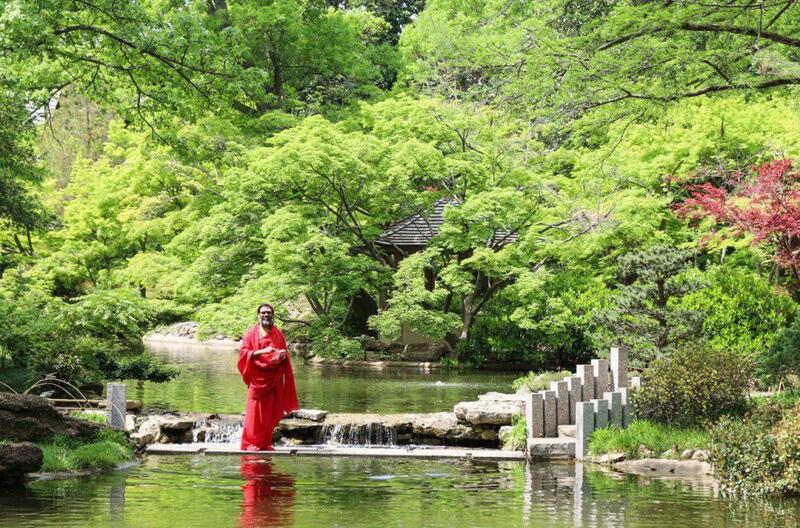 On 8thApril, Bala Swamiji along with devotees visited Japanese Gardens within the Fort Worth Botanical Gardens, admiring the creation of green space within the metroplex. In the evening, Sri Bala Swamiji graced the bhajan session held by Sri Mahesh Bhatt and Jaitra Varanasi, along with Dallas satsang members. 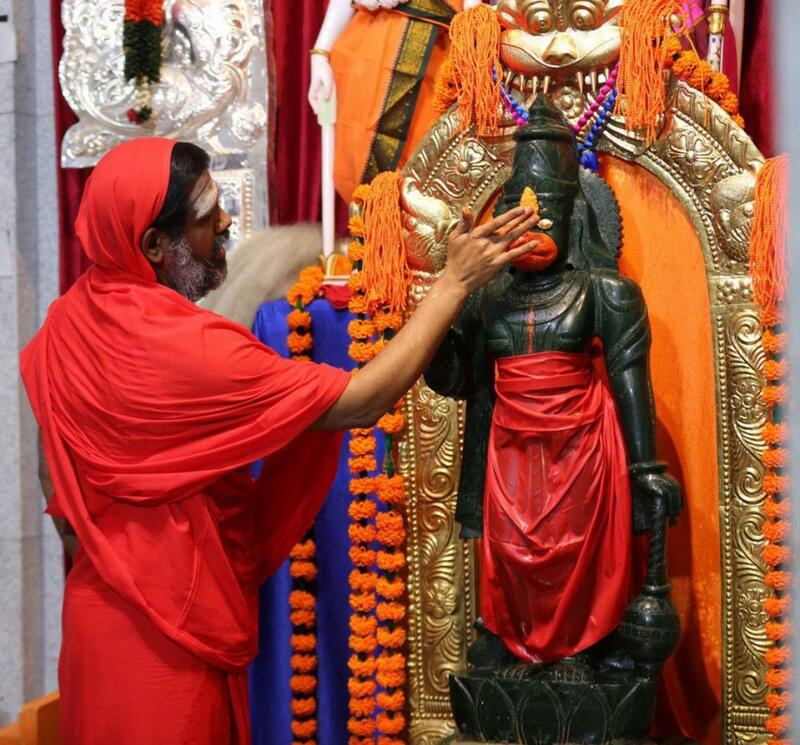 On 9thApril, Pujya Bala Swamiji performed Sri Chakra Puja.